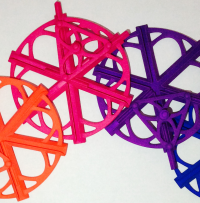 Print a Motion lets you rapidly define your mechanism and print a model. 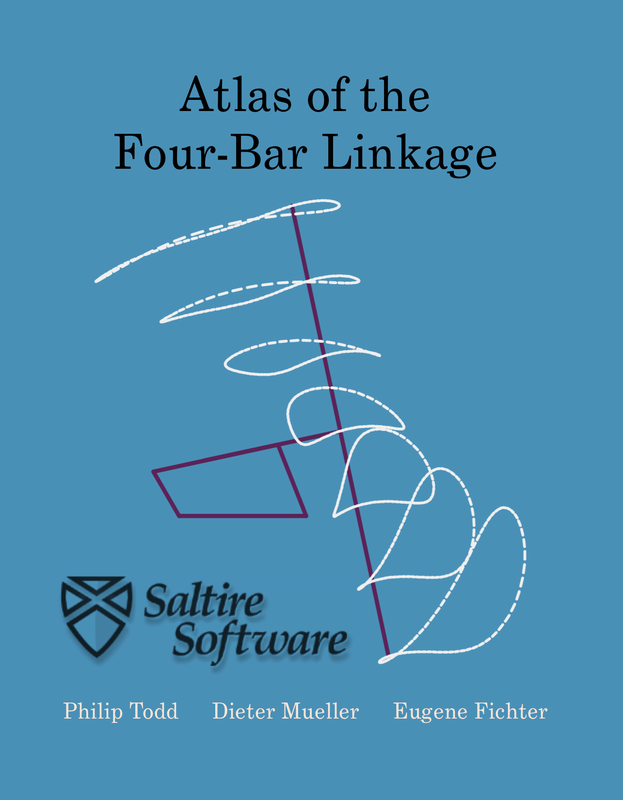 In a couple of minutes, you will have a 3D model of your specific four-bar linkage. You can then upload it to Shapeways to be 3D printed. Your model will be printed as a single unit with no assembly required. It will move from the moment you open the shipping package. Any initial stiffness due to retained powder in the joints will rapidly dissipate with use. 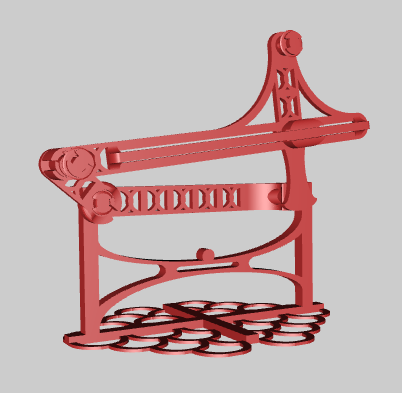 The Crank Rocker is the most common of four bar linkages. Specify your own lengths for rocker, coupler and base, specify the location of your coupler point and print a model of the crank rocker motion with these parameters. 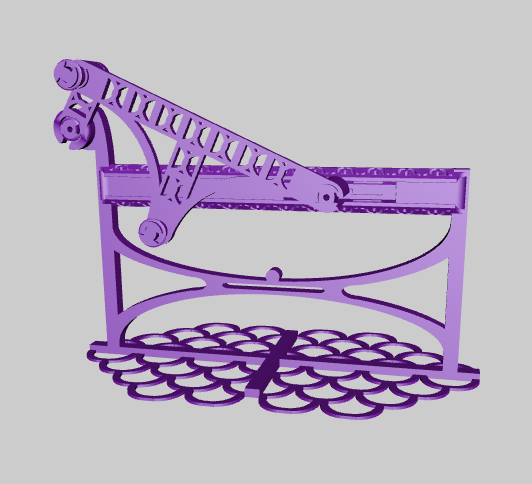 The Crank Slider uses a slider for the fourth bar, causing every linkage to have some motion on an axis. Specify your own length for the connecting rod, and offset for the crank. Specify the coupler location and print a model of the crank slider motion with your parameters. 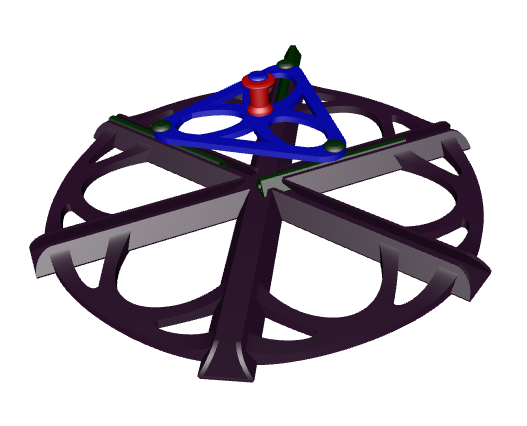 The Inverted Crank Slider is a modification on the Crank Slider. Specify your own lengths for slider offset and base length. 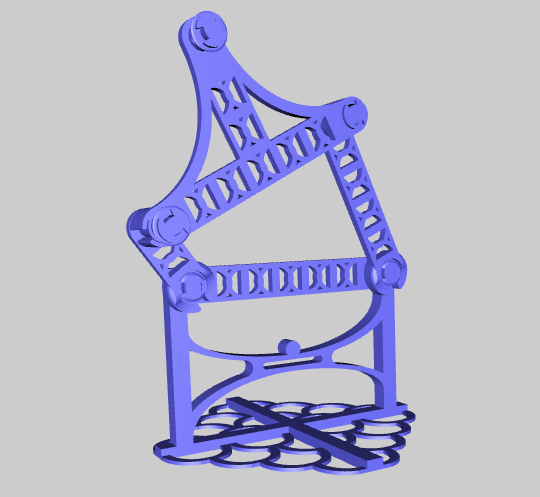 Specify coupler location and print a model of the inverted crank slider motion with your parameters. Use this handy reference to identify parameters for linkages to generate your desired form of coupler curve. Print a Motion uses the same parameters as the book, so once you have identified the motion you want you can come back here and print it.